Living Word cares about one thing more than anything else, and that’s Jesus Christ. We are a family of individuals who found hope in Jesus and simply want as many people as possible to experience that exact same freedom. Living Word was started in 2004 by CJ & Lanita Gaul. They have a passion for reaching the community with the love of Christ and they planted their first church in a mall where they evangelized to the shoppers and trained up people, releasing them into their own ministries. What’s the bottom line? More than ever, Living Word is committed to fostering a family built around grace, love, and the Good News of the Gospel. As we move forward as a church family, inclusion and knowing who you are in Christ remain at the center of our focus so we can reach deeper into the lives of those we come into contact with. What does this mean for you? This means you’re always welcome at Living Word. We’re saving a seat for you. Wherever you’re at in your faith journey, you are encouraged to come connect with like-minded people, where you’ll be accepted as part of the Living Word family. Beyond that, if you’re ready to plan your first visit, click here. If you want to learn more about our beliefs as a church, click here. 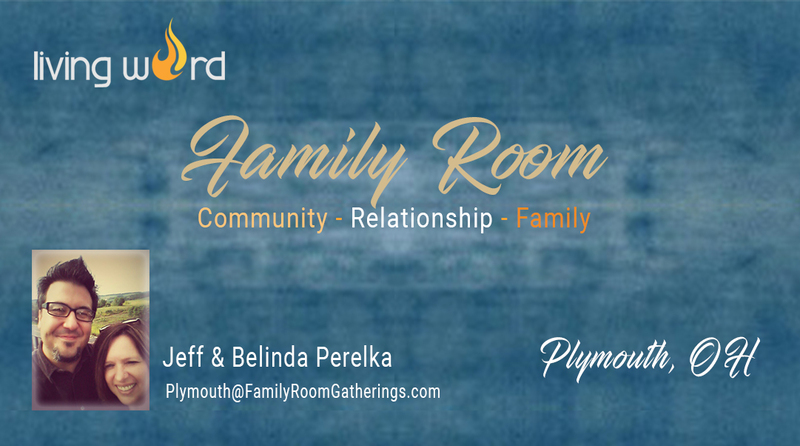 Jeff & Belinda Perelka will be holding a Family Room gathering at their church in Ashland, Ohio. Prior to worship, we will be eating and fellowship and ask each person attending to please bring a food item of some sort to share. We plan to have a time of worship, teaching and sharing for us to learn and further develop our identity in Christ. We look forward to seeing you at the Living Word Family Room! Family Room Gathering - Plain City Living Word Worship Center 249 W. Main St.
11may5:00 pm9:00 pmFamily Room Gathering - Plain CityFamily Room Gathering - Food - Fellowship - Word5:00 pm - 9:00 pm EST 249 W. Main St. Prior to worship, we will be eating and fellowship and ask each person attending to please bring a food item of some sort to share if you are able to. Child care is not provided at the present time, however, children are welcome. You were not created to be insecure or drag along baggage of rejection, trauma, drama, broken relationships, or pain. You were created to be abundant and free. This conference is primarily for women but men are also welcome. REGISTER and read speaker bios at empowered-free.com/book-online. Early Bird rate $89 through Feb 2. Coupon Code EarlyBird. … let it go. You can change the channel on your life experience. Imagine a bright new year of potential and learn how to make it happen. 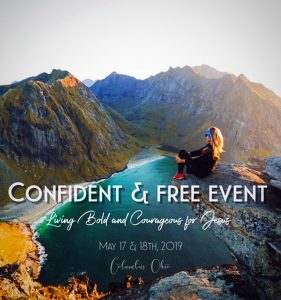 Attend the Confident & Free Event this May! Heal your Soul, Mind and Body. Be Confident. Be Bold. Be Free. What the new year brings depends on your ability to release the past and start fresh. Come immerse yourself in the healing power of GOD’S LOVE and learn powerful tools for living to your highest divine potential! Reserve your spot now… seats are limited! Monthly Healing Service - In His Presence Healing Room Living Word Worship Center 249 W. Main St.
19may3:00 pm5:00 pmMonthly Healing Service - In His Presence Healing Room3:00 pm - 5:00 pm EST 249 W. Main St.
A Monthly Healing Service will be held from 3:00 – 5:00 PM, the third Sunday of each month, except for major holidays, at Living Word Worship Center. You will have time to listen to the scriptural truths about healing from God’s Word in an atmosphere of love, followed by a short teaching. Members of the Healing Room will then pray for healing, both corporately and personally.